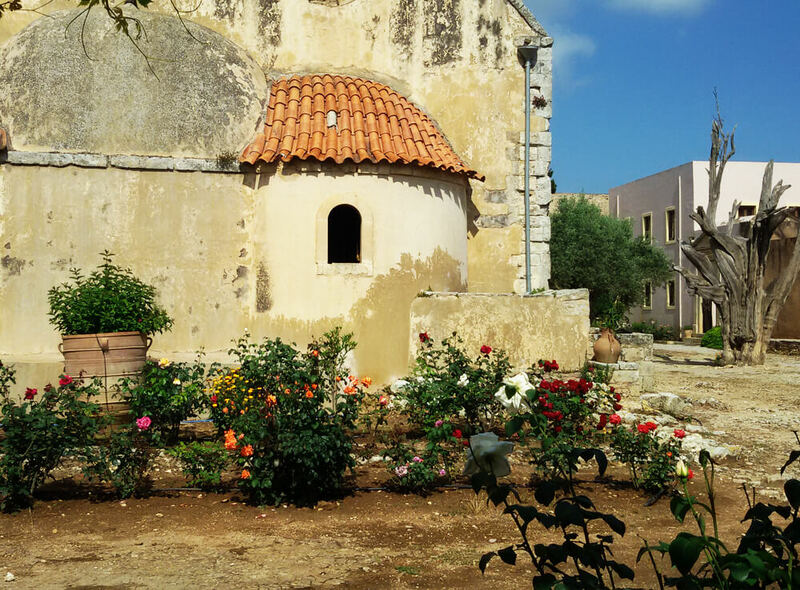 The Arkadi Monastery is one of the most interesting monasteries of Crete. The excursion to the fertile plateau, which lies 23 km southeast of the city of Rethymnon can be easily combined with a city tour in the old part of Rethymnon, as well as a visit at the Venetian fortress, always depending on the available time. 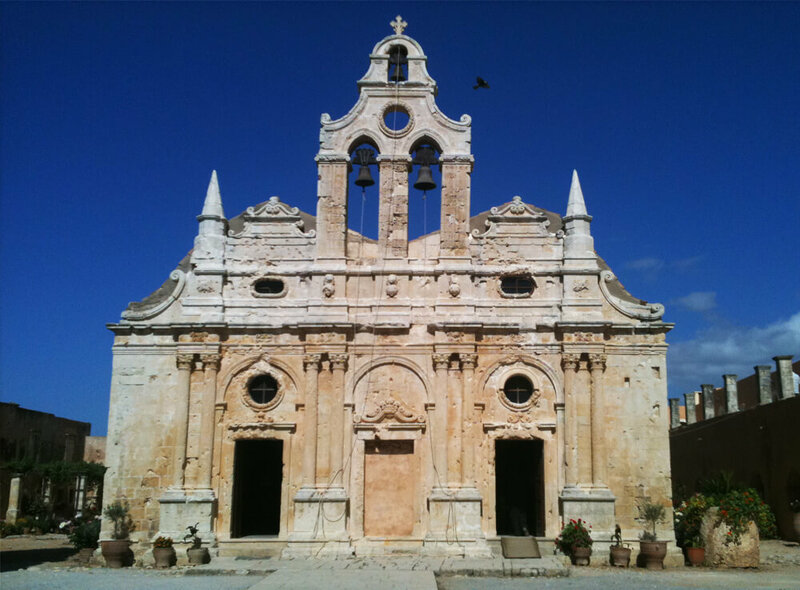 It takes 1h 30min from Heraklion by car to reach Arkadi and 30 min from Rethymnon city. For the visit of the monastery you will need at least 45min. 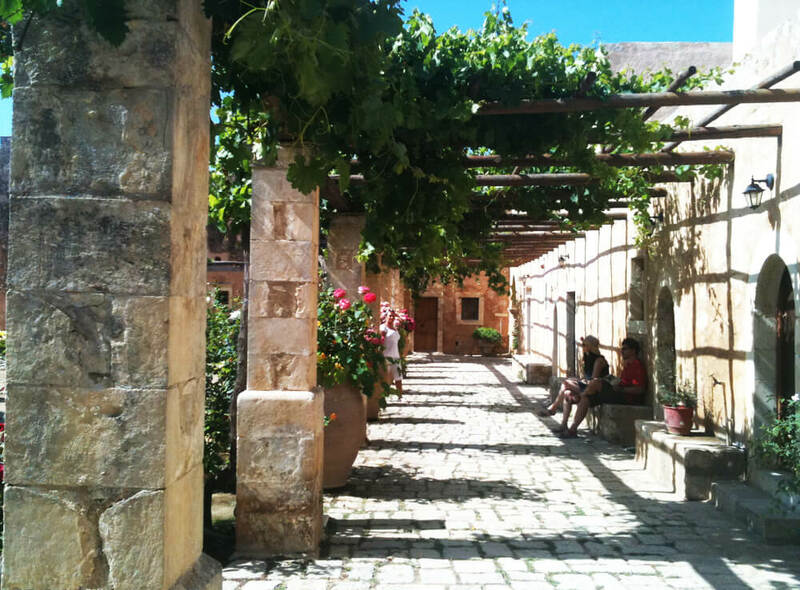 Do not miss the opportunity to enjoy a private tour in historic Arcadi. The current catholicon (church) dates back to the 16th century and is marked by the influence of the Renaissance. This influence is visible in the architecture, which mixes both roman and baroque elements. As early as the 16th century, the monastery was a place for science and art and had a school and a rich library. 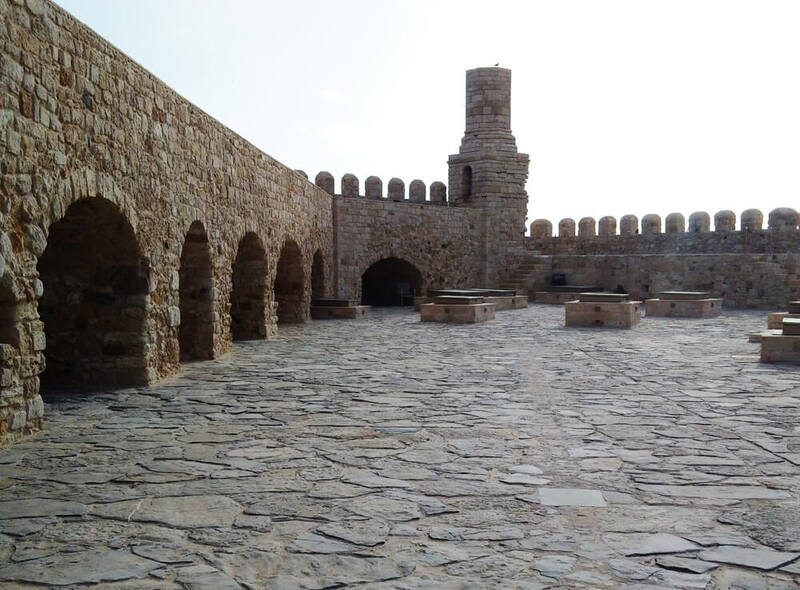 Situated on a plateau, and surrounded by a thick and high wall, the monastery is also built like a fortress. The monastery played an active role in the Cretan resistance of Ottoman rule during the Cretan revolt in 1866. 943 Greeks, mostly women and children, sought refuge in the monastery. After three days of battle and under orders from the abbot of the monastery, the Cretans blew up barrels of gunpowder, choosing to sacrifice themselves rather than surrender. The Arkadian region is fertile and has vineyards, olive groves and pine, oak and Cyprus forests. The plateau on which the monastery rests is surrounded by hills. The west side of the plateau stops abruptly and falls off into gorges. The gorges start at Tabakaria and lead to Stavromenos, to the east of Rethymno. The Arkadian gorges have a rich diversity of plants and native windflowers. Choose the date of your tour and send us a request. Plan the tour, choose the sites…You decide the pace and we arrange the perfect tailor made tour accordind to your needs.